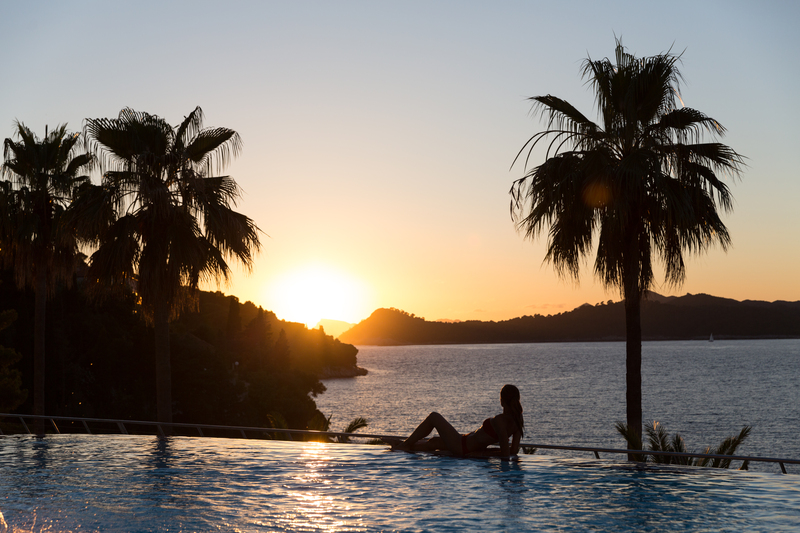 Surrounded by the sparkling azure waters of the Mediterranean, Lafodia Sea Resort offers an escape into paradise. Located on the Croatian island of Lopud, which lies just off the coast of the beautiful city of Dubrovnik, there are few better places in Europe to leave behind the hum drum of modern life and enjoy the beauty of nature.Cars are banned on the island, leaving you free to enjoy the white sandy beaches and sparkling Mediterranean waters as nature intended them, without a trace of noise or air pollution. Nestled on the coast and offering stunning views out to sea, Lafodia Sea Resort provides the kind of luxury accommodation you would expect in a natural paradise such as this. For the ultimate stay, try the hotel’s Signature Suite, which provides guests with an experience that combines the freedom of the sea with the comfort of living in a first-class resort. As if a stunning room with a breathtaking view was not enough, your stay in the Signature Suite will include a private mobile phone for direct contact with a concierge, free spa entrance and sunbeds at the hotel beach for the duration of your stay. If your stay is for three days or more, you’ll also be able to take part in a sunset excursion – a stunning experience that will stay with you for a lifetime. Among Lafodia Sea Resort’s luxurious facilities are several restaurants offering fantastic Croatian, Italian and international cuisine and a number of bars from which you watch the sun set on the Mediterranean while enjoying a good drink and fine company. Dubrovnik, with stunning medieval architecture that has been made famous by TV show Game of Thrones, is just a short boat ride away, as are a number of other islands that offer stunning natural beauty, culture, history and more. Find out more about Lafodia Sea Resort and book your stay here.